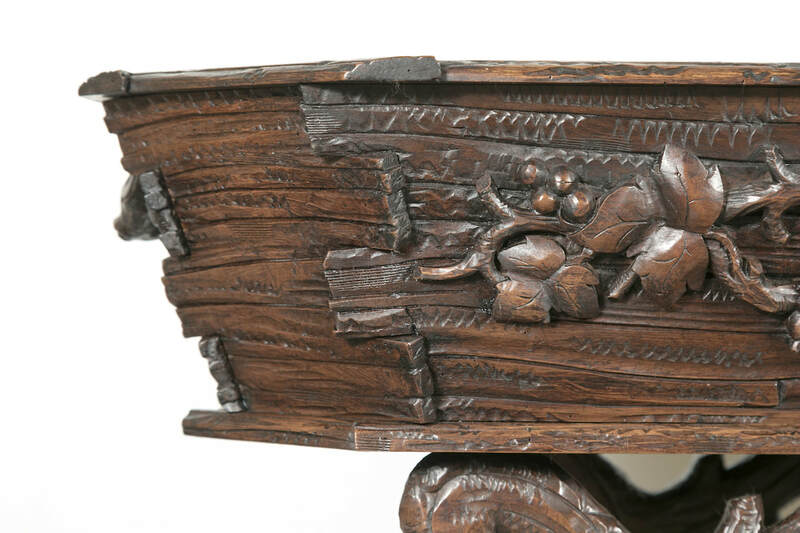 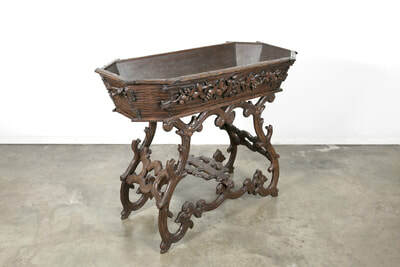 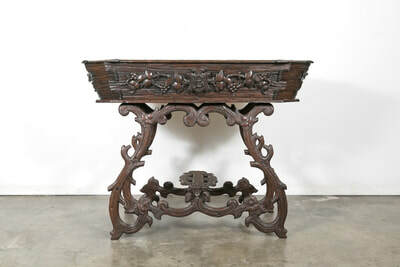 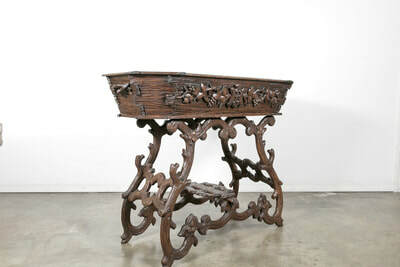 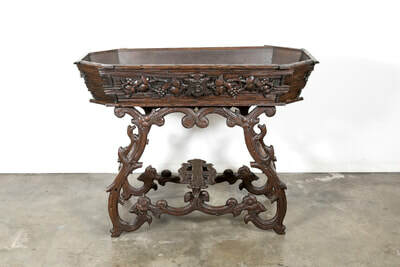 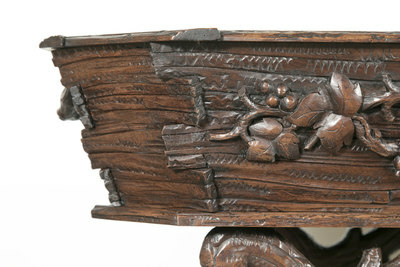 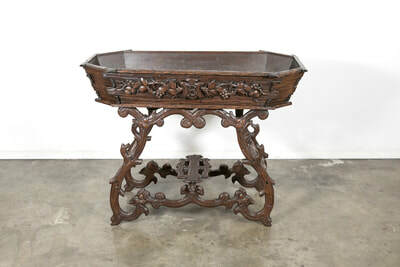 An elegant, raised Black Forest carved wood jardiniere handcrafted for a local vineyard owner by talented artisans in the Alsace region from solid old-growth oak during the early 1800s, having an intricately carved, tapering rectangular planter featuring fine hand carvings on each side surmounted by a curved apron. 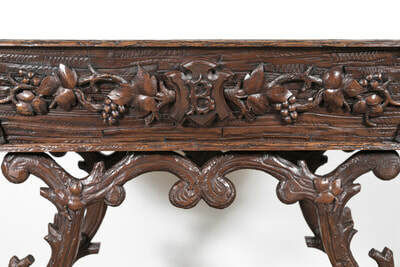 The naturalistic carvings illustrate wine motifs of grapes, vines, and foliage with a center shield having a raised, carved "B" initial. 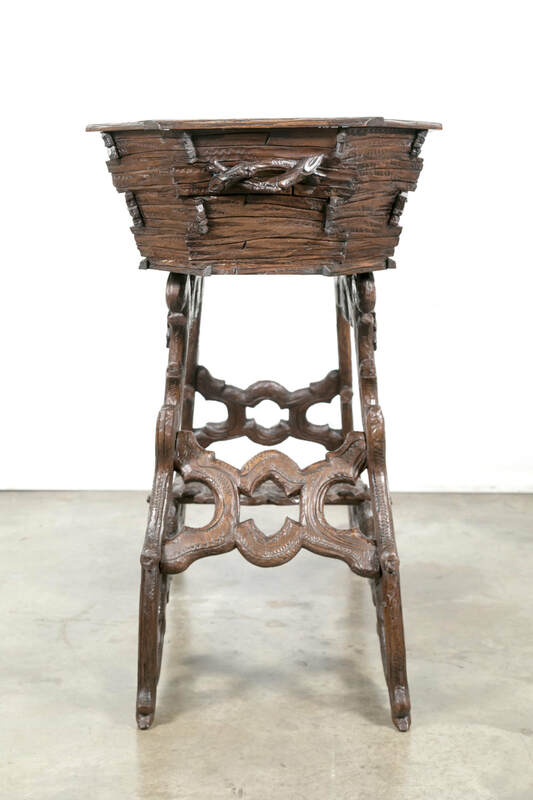 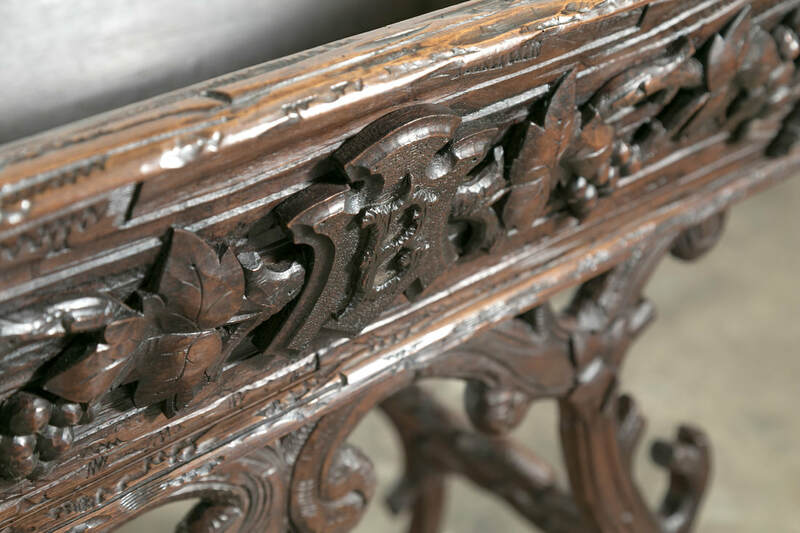 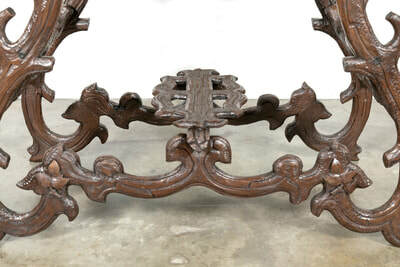 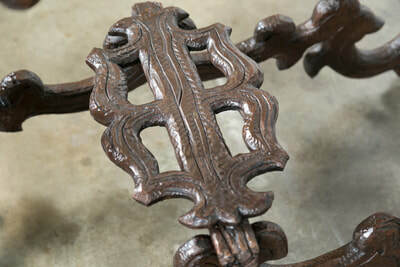 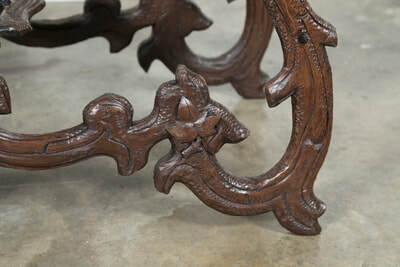 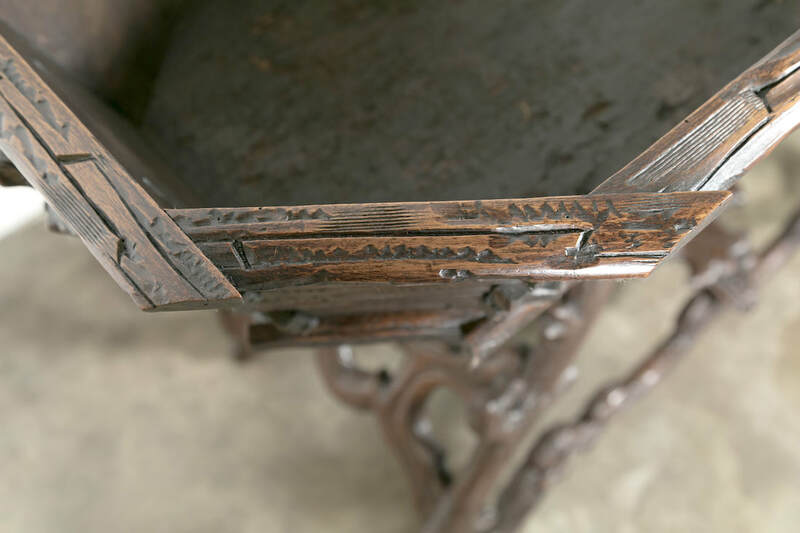 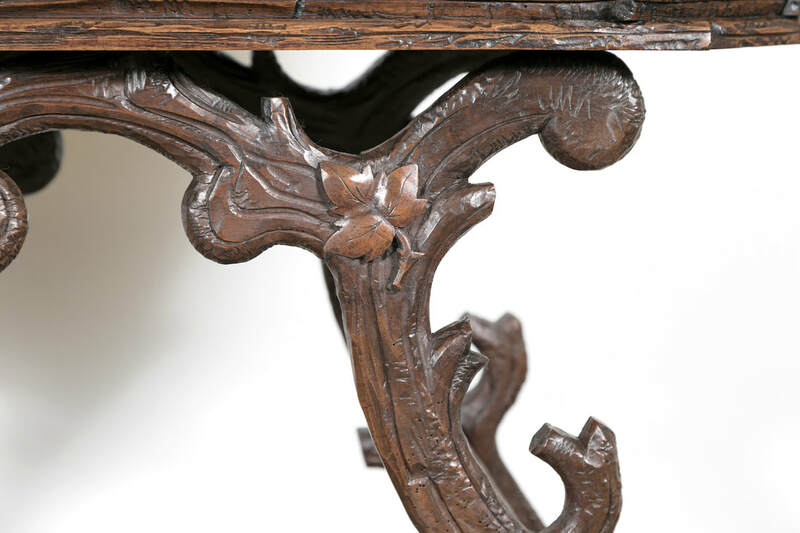 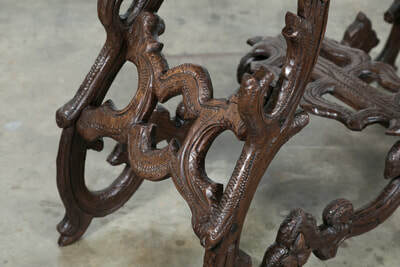 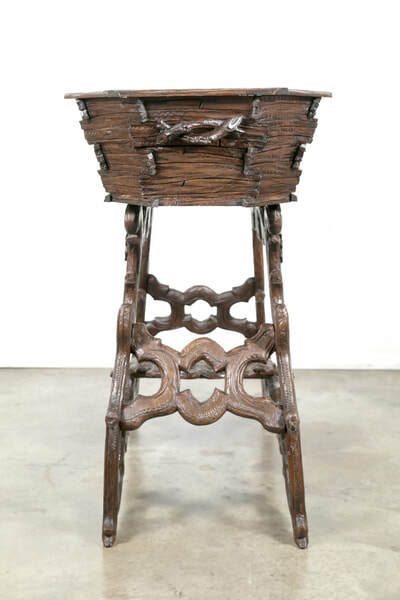 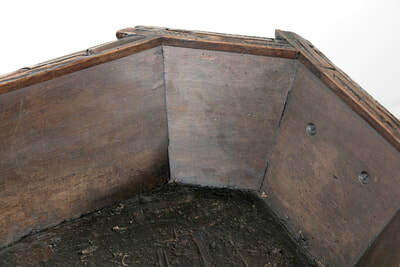 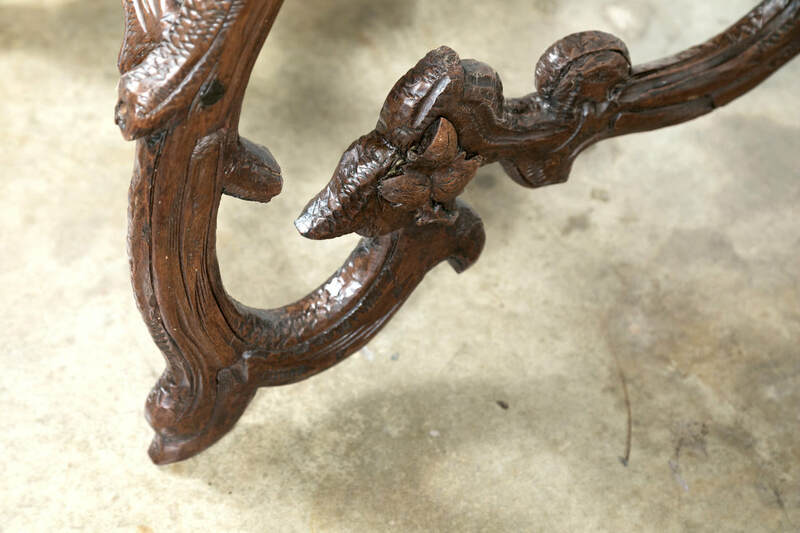 All raised on two scrolling side legs carved as grapevines, each joined by carved pierced stretchers and a center stretcher with back-to-back carved letter "B" initials. 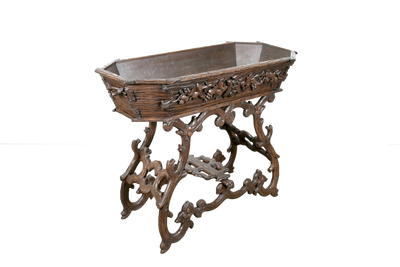 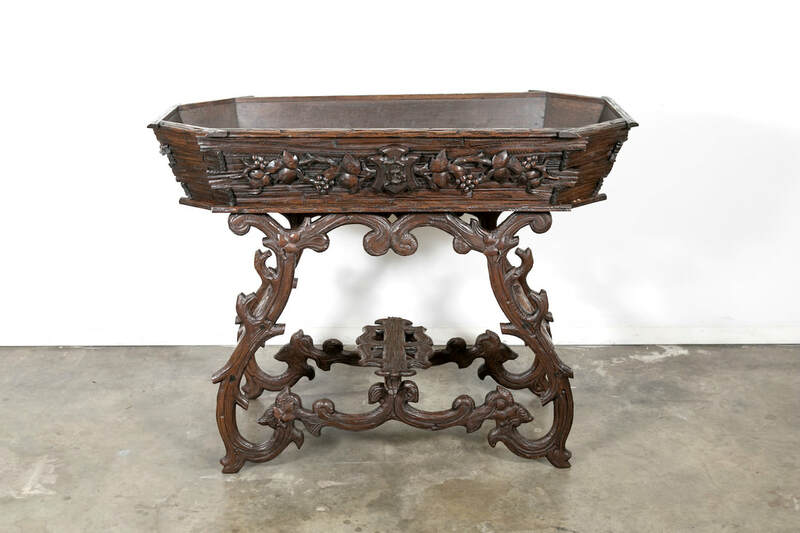 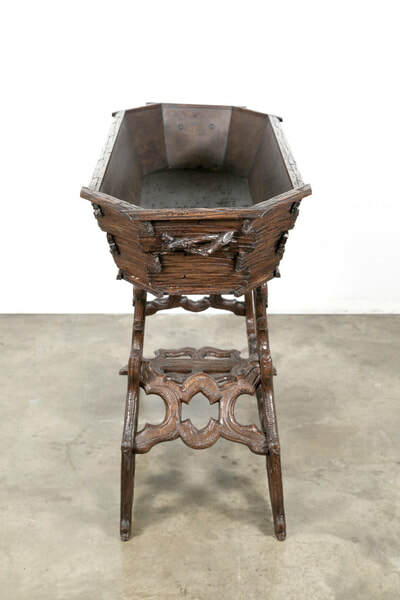 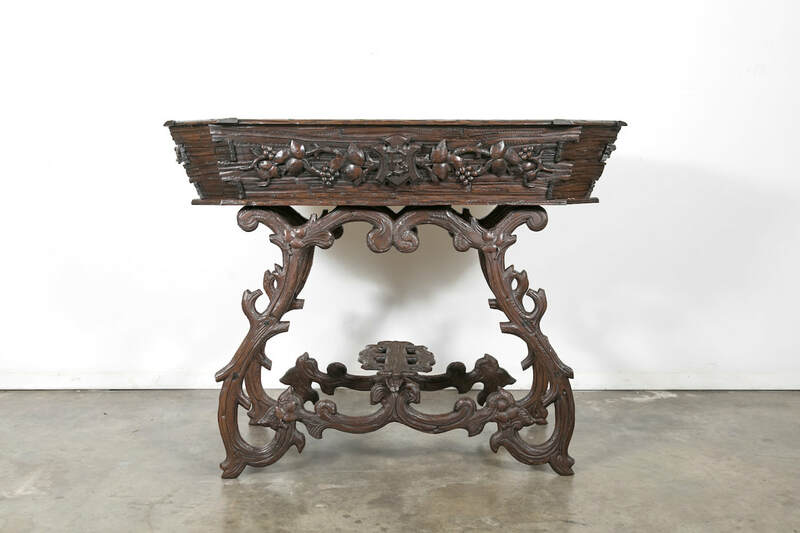 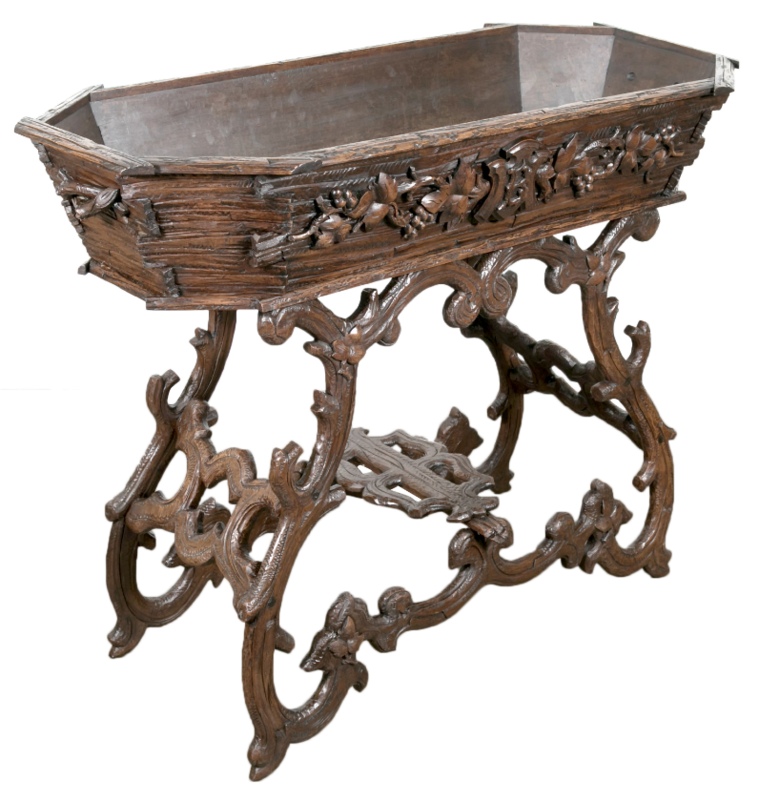 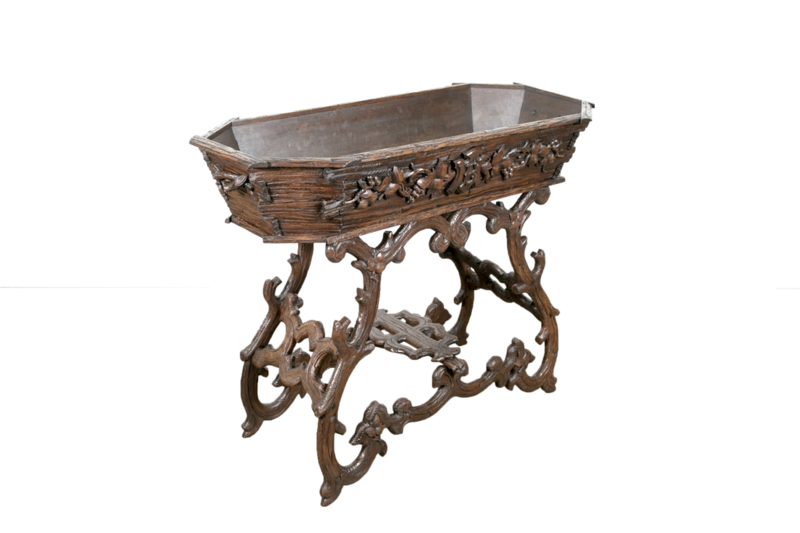 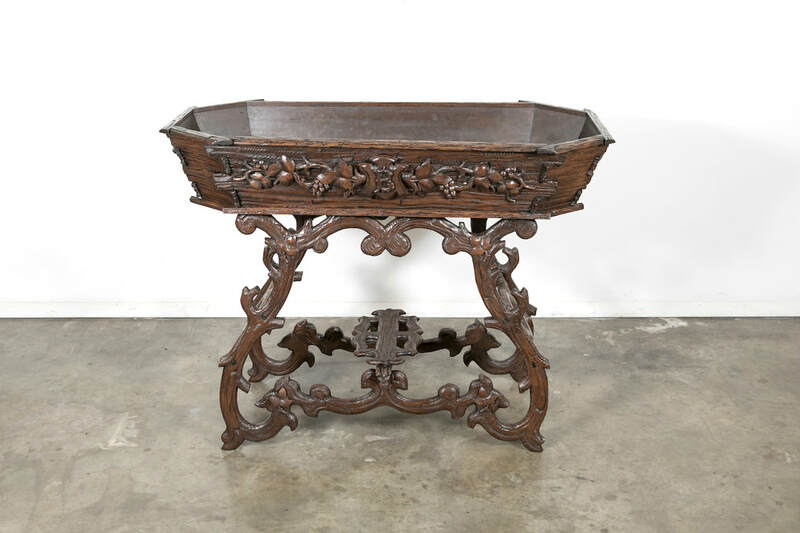 This early 19th century planter is an impressive example of the genre, with boldly carved, vivid representations of the abundant foliage that exists in the region and a beautiful aged patina. 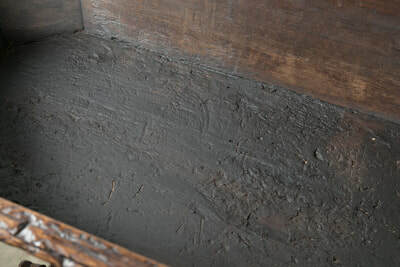 ​The Black Forest is actually located in a triangular area that borders Germany, France, and Switzerland and it extends along the Rhine River. 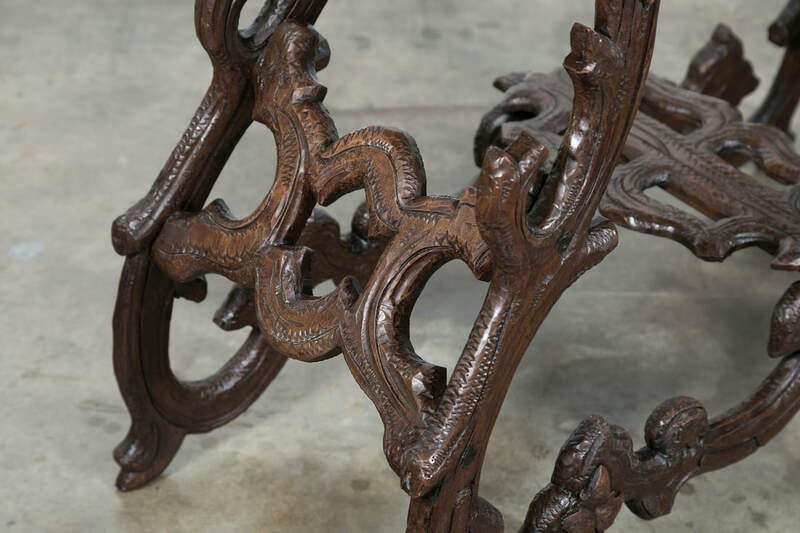 Wood-carving has been a traditional cottage industry in the region since the beginning of the 1800s. 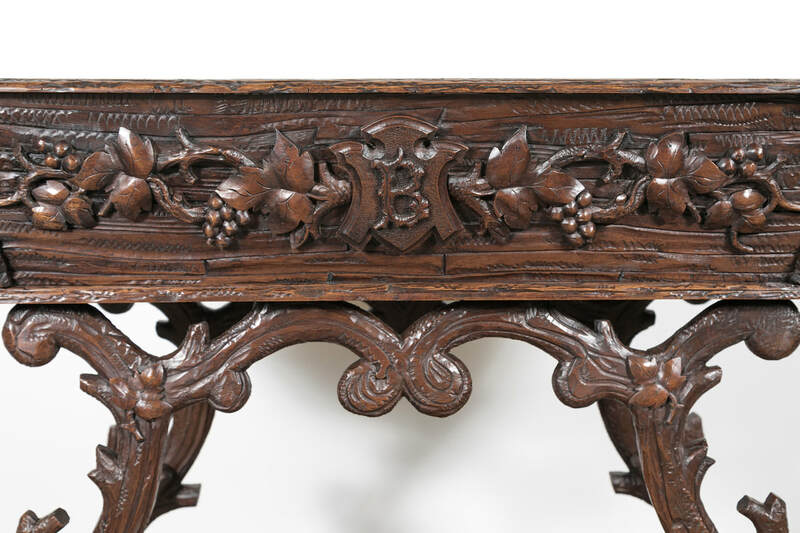 In Europe, Black Forest carvings became a symbol of luxury and wealth.